Based in Archer, HOPE – Horses Helping People, provides equine assisted therapies and learning to children and adults with special needs. 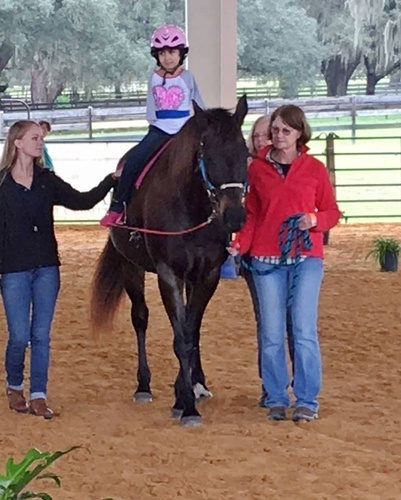 Programs include: Occupational Therapy, Adaptive Riding, Horses Helping Heroes, Silver Saddles, Memory Connection, Special Olympics, Equine Assisted Learning and Breast Cancer Survivor Outreach Rehabilitation. Our Mission is to provide equine-assisted programs in a healing environment that enhance personal growth, empowerment, and well-being. 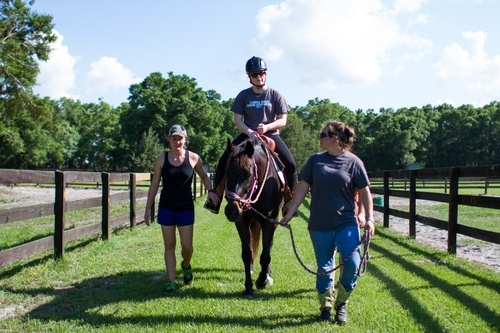 Our vision is to be the leading provider of equine-assisted therapies and programs in north central Florida. 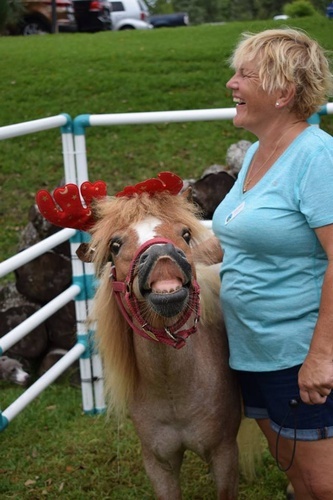 Horses Helping People was established in July 2000, as a not for profit organization, to offer equine-assisted therapy to enrich the lives and experiences of individuals with disabilities. HOPE began as a back-yard program, but now resides on 40 acre facility in Archer, whose use has been donated. Our programs include, Adapted Riding Therapies and Equine Assisted Learning, Memoree (for patients with Alzheimers), Equine Recreational Therapy, Equine Assisted Psychotherapy, First Responder and Veterans Programs, Special Olympics and more. In the future, HOPE‘s goal is to obtain a home of it’s own. Continued community support is needed to achieve these goals.